The Lexington Bedroom Collection makes a prestigious statement in your bedroom. You can’t miss the astounding beauty of its raised panels, beefy 3-inch posts and half-arch doors. Amish cabinetmakers painstakingly handcraft each piece in the collection. And they use solid hardwoods like maple, elm, hickory, cherry and oak. Plus, the bottom of each piece is finished with 1/2-inch solid hardwood (except for the bed). So the pieces are very sturdy. 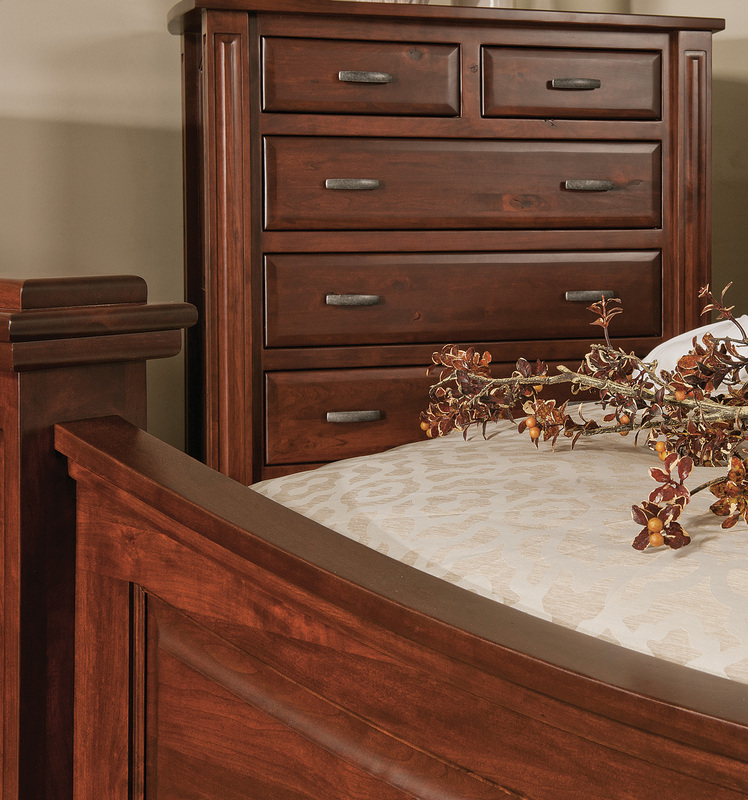 They’re so durable, you can plan on the bedroom collection lasting for generations to come. 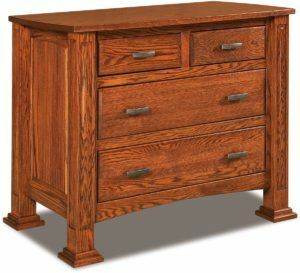 We’re showing a Lexington bed, dresser, chest and nightstand. But the Lexington Bedroom Collection includes a plethora of beds, chests, dressers, nightstands, armoires, wardrobes and chifferobes. So you’re sure to find the pieces of fine bedroom furniture to fit your needs and desires. To give you the best performance, convenience and comfort, our craftsmen incorporated several high-end features. They include full-extension drawers for hassle-free access to everything. Plus 5/8-inch drawer boxes with dovetail joints for strength. What’s more, the doors are all soft-close. And you can request drawers with Blum under-mount slides. So closing the doors and drawers is as simple as giving them a gentle push. Some drawers come with hidden compartments. And you can choose mirrors with concealed jewelry storage. Also, you can order the pieces as shown or unfinished. And we can customize everything to your specs. For a quote on the Lexington Bedroom Collection, click on the “Custom Options” link. Then, select the hardware and wood specie/finish from the wide selection. Also indicate your preferences for panels on the posts as well as bed size. Then, complete the “Request Your Quote” field, where you can tell us your other custom ideas. 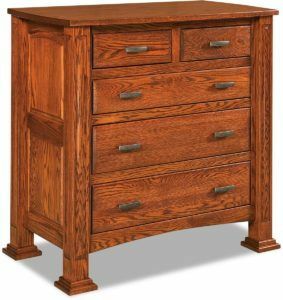 And if you’re relatively close to Shipshewana, Indiana, visit our store to explore our wide assortment of quality, Amish-built, solid hardwood furniture for yourself.